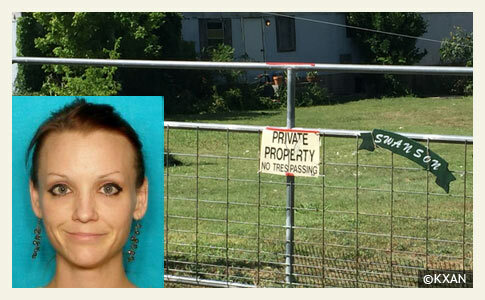 Erin McCleskey, 36, was killed by a pack of dogs in northeast Travis County. UPDATE 06/24/16: On June 15, Erin McCleskey, 36-years old, attempted to serve court papers to a home on Fay Street in northeast Travis County. 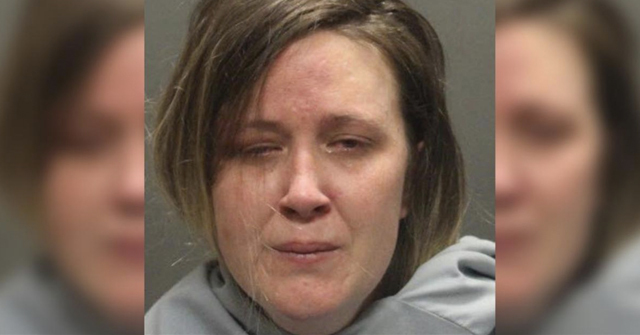 She exited her vehicle, leaving it running, and opened a gate that led onto the property. As soon as she entered, a pack of dogs on the property mauled her to death. Sarah Scott, the chief administrator for the Travis County Medical Examiner’s Office, said that her body was found after a neighbor investigated her car by the unlatched gate. 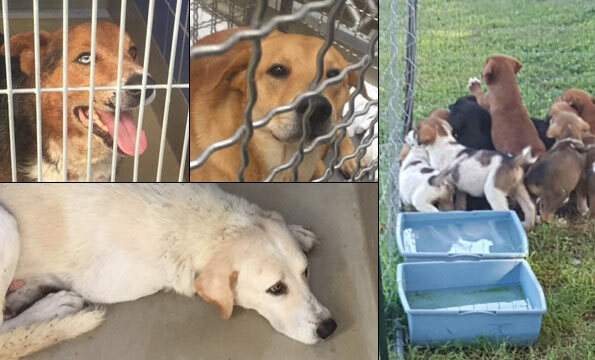 Authorities impounded six adult dogs, described as four labrador-mixes and two Australian cattle dog-mixes. 14 puppies were also located on the property. 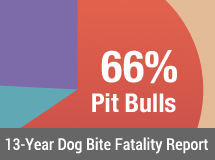 The dogs' owners were not present when the fatal attack occurred. 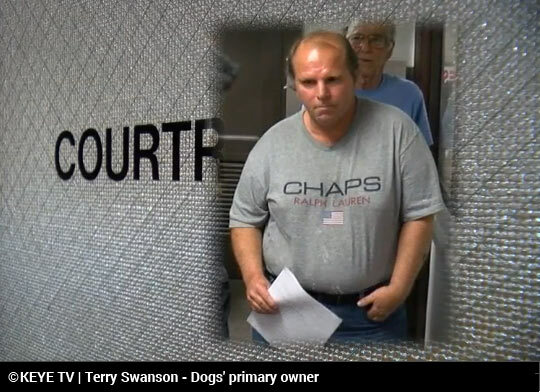 On June 24, a Travis County justice of the peace ordered all six adult dogs to be euthanized after hearing testimony about the numerous bite injuries the dogs inflicted. After the ruling, the dogs' primary owner, Terry Swanson, vowed to appeal the decision. Swanson and his uncle, Robert McCray, and McCray’s wife, Marjorie Kalinec, have been the primary caretakers of the dogs. 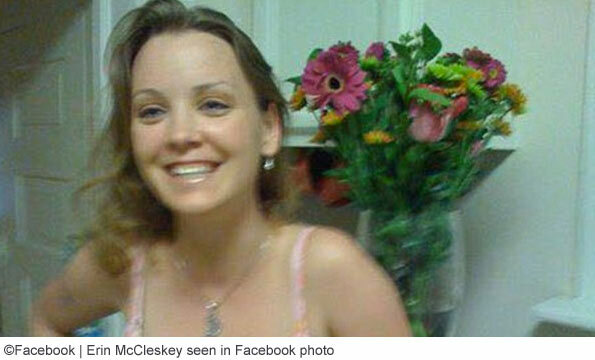 McCray is the person who discovered McCleskey's body. The dogs' owners blamed the victim for her own violent mauling death during the hearing, saying that McCleskey failed to heed the property's no trespassing sign. Justice Herb Evans, however, had the final word, noting: “She didn’t deserve to die, and these animals don’t have a license to kill." Assistant County Attorney Annalynn Cox, who argued on behalf of the county to have the dogs euthanized, "expressed indignation" by the lack of any remorse shown by the dogs' owners for her death, reports the Austin American-Statesman. We will add to this extreme narcissism, a total lack of empathy and antisocial deviance, the building blocks of a sociopath.1 Studies show these traits are often seen in owners of vicious dogs. We see them all the time after a fatal dog attack. Manor, TX - On Wednesday, deputies were dispatched to the 12300 block of Fay Street in response to a 911 call made by a caretaker who had come to the property to feed dogs, according to a news release issued by the Travis County Sheriff's Office. Deputies arrived about 9:00 pm and found a woman dead that had been attacked by a pack of dogs. Authorities identified the victim as Erin McCleskey, 36-years old, of Austin. The location of the attack is northeast of Austin. "It appears Erin McCleskey was visiting the residence on a business related matter and entered the front gate of the property where she was attacked by the animals," states the release. Her body was transported to the Travis County Medical Examiner’s Office where an investigation into the cause of death has begun. Authorities impounded six adult dogs that were loose on the property. Officers also located 14 puppies that were confined on the property, states the release. The Austin American Statesman reports that McCleskey was a process server who visited the property on Fay Street yesterday to serve civil papers. Sheriff’s office spokesman Roger Wade said the 20 dogs -- six adults and 14 puppies -- belonged to Terry Swanson who has been away for the past month and had left a caretaker in charge of feeding his dogs. 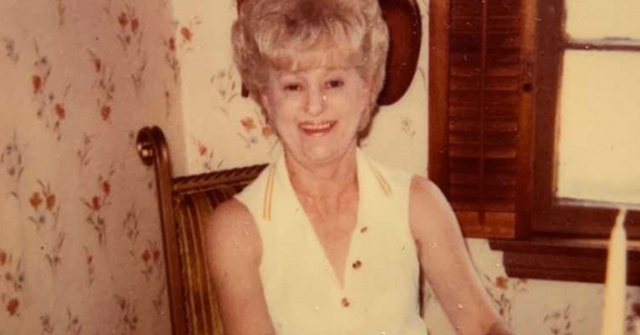 About 9:00 pm last night, the caretaker arrived on the property and found McCleskey's dead body near the front gate. The Statesman spoke to Casey Cox, the chief operating officer of EZ Messenger. McCleskey was an independent contractor and was serving papers for his company that day, Cox said. She is also the daughter of his business partner, Michael Shapiro, and lived with her parents, Cox said, "so it’s definitely hit home for us." The Statesman tried calling Donald Swanson, who is listed on records as the owner of the property, along with Terry Swanson, but their numbers were disconnected. Our hearts go out to McCleskey's family and friends. 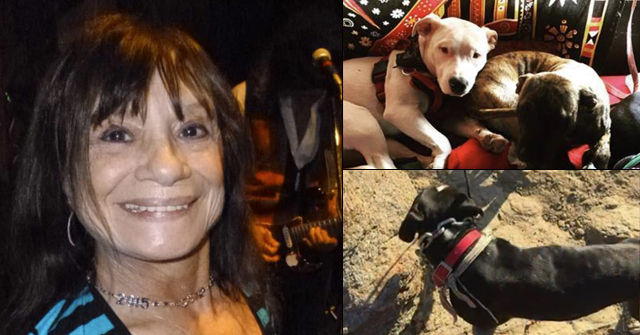 She died alone in a vicious pack attack that apparently began after she opened the gate. The adult dogs are described as labrador-great pyrenees mixes and two husky-Australian cattle dog mixes, according to the news release. They are being held in quarantine. It's unknown where the Swansons are currently. Interestingly, KXAN reports that despite 20 dogs being on the property, the sheriff's office told them, "they do not believe this was a breeding situation." It is unclear what else one would call six dogs and 14 puppies penned separately in an outdoor area. 1Break each part of Kalinec's statement down and consider it closely. "We're victims" -- as in we are the "real and only" victims in this case. Next Kalinec blamed the victim for her own violent death. Finally she said, "I feel like I’ve been violated." We can only imagine how horrified McCleskey's family must have been hearing their abysmal, narcissistic testimony. We don't think an appeal -- assuming there can be one -- will change the judge's order. Husky's and Cattle dogs are known to sometimes be aggressive. But six dogs is too many for anyone to handle. It's a fact dogs are more dangerous in packs. This is why there needs to be a limit. One would be my preference, especially for known aggressive breeds. Every other business in the country has some basic rules and laws, especially where public health is also concerned. but still the breeder lobby keeps forcing this down our throats. What a horrible way to die. I can't even imagine the terror that poor woman felt all alone with those dogs attacking her. Where are photos of the other dogs? They say "20 dogs"
I see three adults and the litter of puppies. I would imagine the dogs that participated in the attack would have some sort of blood on them wouldn't they? These do not look like the kind of dogs that you would expect to attack you. That is probably what she was thinking when she entered the gate. Thank you for the update on this horrible situation. I'm just flabbergasted at that woman's words: "I feel like I've been violated." Um, how about the woman who LOST HER LIFE in a brutal mauling by the dogs you were caring for? How do you think she felt? And her family who has to deal with her death and the knowledge that it wasn't at all peaceful? All she did was go through a gate. No one knows what she was thinking, but I can speculate that since she was an animal lover, she may have thought the dogs were friendly. Maybe she wanted to greet the puppies. Or maybe she was just doing her job and looking for someone to give the papers to. No one deserves to die for stepping onto someone else's property. I can't imagine saying I felt violated by someone walking into my yard, especially when that person was killed for it. Dogsbite is correct in noting sociopathic tendencies there. Sick. Wow. The attitude of these dog owners. First they blame the victim, thinking that a just punishment for crossing a property line is a prolonged, horrific, torturous death. Then they actually want to keep dogs that killed a person. All the dogs should be put down, including the puppies. Because they haven't broken any laws and can't be punished legally,the dog owners should be shunned by the rest of society forever. What were the court papers that were being delivered about? What law did the owners violate to get papers served?? Reporters asked, but the process server company, EZ Messenger, would not say. They probably cannot either — it would be in breach of confidentiality of their client. That the victim's father was the president/CEO of this company (https://www.ezmessenger.com/company/), makes it all the more maddening and tragic. All that we know is that they were civil papers — some type of civil proceeding.